The Conference Board of Canada recently announced a GDP growth projection of 0.2 per cent for New Brunswick in 2016 and 1.4 per cent for 2017. A recent report from Statistics Canada revised New Brunswick’s GDP growth rate for 2015, stating it had expanded by 2.3 per cent that year. This represents the largest gain since 2004 and was greater than the total growth of 0.9 per cent seen between 2007 and 2014. Furthermore, the province’s real GDP growth was the third-highest among the provinces. Given the 2015 result and expectations for 2016 and 2017, the province’s economy is on track to grow by 3.5 per cent over a three-year period, more than triple the level seen between 2007 and 2014. New Brunswick has also consistently been among the growth leaders in average weekly earnings. The province is now leading the country in growth on a year-to-date basis. 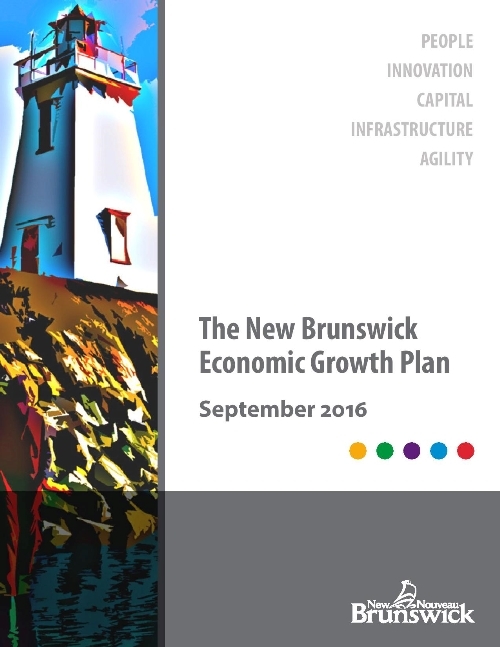 The New Brunswick Economic Growth Plan is available online. It is a directional plan outlining how government will mobilize to ensure there is a co-ordinated, complementary effort to improve New Brunswick’s economy and realize maximum benefits.